The games in this book help teachers, parents, and others who work with children maintain or restore order, refocus children's attention, and break up the classroom routine. Most of the games are quite short and can be used between academic activities as a treat or quick break. Many are noncompetitive, most don't require props, and none require special skills or training. All can be played with the whole class; there are partner games, small group games, and outdoor games. Clear, complete instructions are included for each activity, and icons denote appropriate age levels, time, and group size. Author Allison Bartl has tested all of the games herself and recommends that the teacher or parent fully participate in each game, both to relax and to provide a model of good social behavior. Tips and thoughtful quotations from Goethe, Rudolf Steiner, Seneca, Lao Tse, Mother Theresa, and others are also included. Relaxation and visualization can heal the body, mind, and spirit. Lusk has gathered these exercises from physicians, psychologists, therapists, and educators who have developed and fine-tuned each script. People just beginning to use imagery and visualization will find here the help they need to get started - a wide variety of scripts on a broad range of themes, plus helpful information on how to use guided imagery. Experienced leaders will find new ideas that will expand their repertoire and renew their creativity. Volume 2 offers a wide variety of guided meditations to help people relax deeply, lose weight, quite smoking, connect with nature, manage physical pain, and converse with their inner, personal guide. The scripts were developed by experts in the field of guided imagery. Editor, Julie Lusk, provides clear instructions for group leaders and therapists. Today's children are stressed. They need learning tools that are fun, informative and memorable to help them ope. 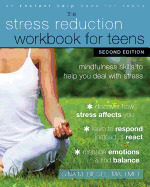 Cool Cats, Calm Kids is a practical yet humorous guide to stress management for children ages 7-12. Designed to accompany the book Creative Visualization, this workbook offers powerful, effective techniques presented in an easy-to-use manner. The workbook contains special notebook sections for you to work on each of the following areas of your life: relationships, work and career, prosperity, lifestyle and possessions, health and beauty, leisure and travel, among others. Brings together the most effective and popular techniques for learning how to relax. Each relaxer presents a simple, tension-relieving exercise that one can learn in five minutes and practice with positive results right away. Are you willing to invest five minutes a day to create focus, presence, and real intention in your life? This little book offers engaging ways you can make simple, effective and lasting changes that will set the tone for a calm, balanced, and more fulfilling day. Frog, Dog, Flamingo and Dragon are all very upset - Frog has too many chores to do, Dog has writer's block, Flamingo is being bullied at school and Dragon's granddad has just died. Ladybird listens to their worries and comes up with a plan that will help them all - let's learn Ladybird's Remarkable Relaxation! This beautiful picture book teaches an effective yoga relaxation technique that can be used anywhere and anytime to deal with a problem. Little Ladybird flutters from big toe to knee to thumb and onwards around the body, showing children how to focus their attention and calm their thoughts. Whether they feel stressed like Frog, or lack confidence like Dog, children will relate to the cast of delightful characters and learn that they too can use relaxation to cope with anxiety, bullying, or grief, and face their worries. This book will be an excellent resource for teachers and teaching assistants in both mainstream and special needs schools, yoga instructors, and parents looking for a fun and engaging story to teach their children about coping with difficult emotions. Developing "the gentle art of going within", the delightful stories in this and other Maureen Garth books have helped many children to feel secure and sleep peacefully. Readers are invited to go on journeys into an imaginative world of animals, people, and places. Garth shows parents how to use these imaginings with their children, helping them deal with their anxieties, develop their concentration and enhance their creativity. This book teaches us how to make ourselves and others happy. The meditation practces in this book, based on Buddism, are actual methods to control the mind. The 21 meditations in this book are progressive - the first 6 help develop renunciation while the mext 12 help to cultivate compassion and love. The next 2 help to counter and eventually eradicate our misconception of the way things exist and the final one is to gain a deeper understanding of all previous 20 meditations. Sometimes life seems like it's all about hurrying. So how do young piggies find a peaceful place in a frustrating world? They meditate. MacLean brings her experience as a meditation therapist to this unique storybook guide. Modern society has made sitting still a near impossible task with its constant mantra of being connected. Our brains never get a break and the result can be increased stress, anxiety, insomnia and, if left unchecked, even depression. But there is something you can do - meditation! This book is a simple, accessible, step-by-step guide on how to meditate. Stripping back the mystical concepts that often put meditation in the too-hard basket for many of us, Johnstone's book, with its stunning illustrations, makes meditation as easy as sitting down and focusing on the breath. This beautiful guide will help you find the space and peace for a relaxing meditation practice every day. Breathing, progressive relaxation, meditation, self hypnosis, visualization, refuting irrational ideas, thought stopping, worry control, coping skills, exercise, nutrition, time management, assertiveness, job stress management and quick relaxers. 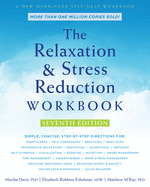 Now in its sixth edition, this book, first published in 1980 is an excellent comprehensive workbook with straightforward instructions on every major approach to stress management known. Children pay close attention to their parents' moods. When parents feel upset, their kids may become anxious, and when parents wind down, children also get the chance to relax. When you feel overwhelmed and stressed, it can be hard to help your child feel balanced. This book offers more than 50 activities you can do together as a family to help you and your child replace stressful and anxious feelings with feelings of optimism, confidence, and joy. Learning to relax is a valuable life skill that can be taught to children, increasing their ability to cope, improve their self-esteem and respond positively to challenges. This step-by-step program can be easily integrated into the daily classroom curriculum, or used by parents at home. Another set of stories that help children to feel secure and sleep peacefully. Garth writes that "relaxation and visualization, if taught at an earlier age, could enhance not only children's school work but other areas of their lives." Garth shows parents how to use these imaginings with their children, helping them deal with their anxieties, develop their concentration and enhance their creativity. Stomach in knots, not sleeping at night? This friendly "Dummies" guide is packed with quick, easy tips and exercises - from breathing and posture to imagery and meditation - it gives you all the tools you need to reduce your stress level immediately. Discover how to determine your stress level, relieve tension at work and at home, deal with difficult people, combat stress with diet and exercise, tame your anger and worry. All students need a safe place to "just talk" - to share their feelings and concerns with supportive peers and an attentive adult. Based on the author's years of experience teaching and leading discussion groups, this book is a proven way to reach out to the young people in your care. With these ready-to-use guided discussions, many complete with reproducible handout masters, you can help students to gain self-awareness and self-esteem, make better decisions, anticipate and solve problems, cope with stress and affirm themselves in all their complexity. Students gain valuable practice in articulating their feelings and learn that they have much in common with one another - they are not alone. Shocking cover, excellent book. Ideal for beginning students, "Teach Yourself to Meditate in 10 Simple Lessons" guides the reader through a series of core meditations that the author has carefully honed over the years while personally guiding his students. Each lesson takes only a few minutes, yet each one relates a valuable meditation skill, including breathing, posture, body awareness, visualization and detachment. In the end, the reader will possess everything needed to develop a healthy practice. An enlightening exploration of the principles of mindfulness--the ancient Buddhist method of stress reduction. The author blends stories, anecdotes, poems, images, and scientific observations with easily followed instructions in the art of "capturing" the present and living fully within each moment in order to achieve inner peace.